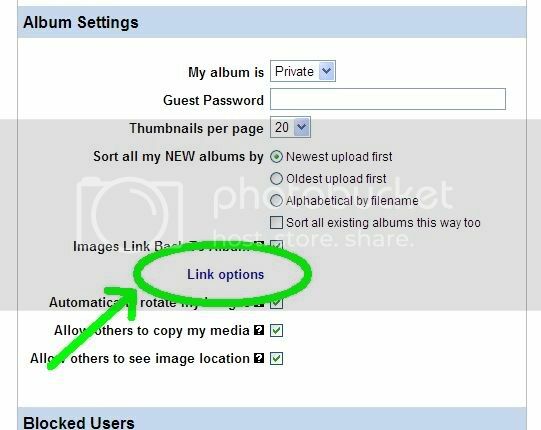 This guide has used Photobucket as an example - it is free and seems to work OK.
Click 'account options' at the top of the screen. Check that there are ticks in the 'IMG for bulliten boards & forums' boxes. Now you should be back at the 'normal' screen. If not then click 'my albums' in the blue bar to return to the main album. 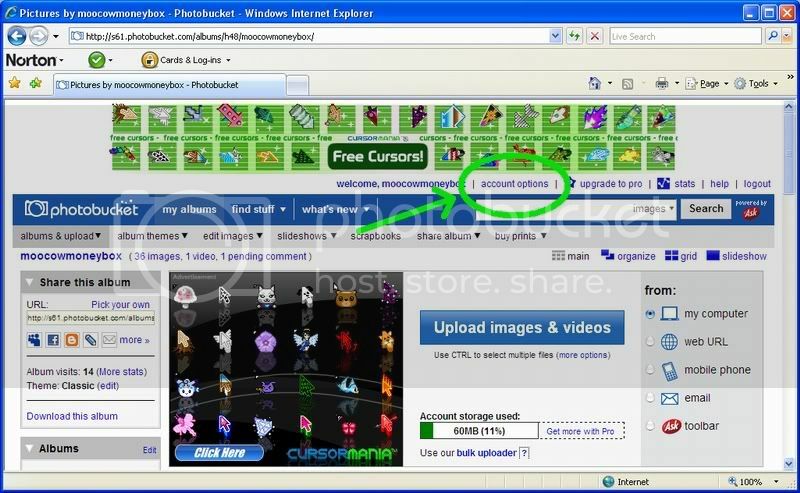 Click 'Upload images and videos' to open another little window where you can navigate around your computer to select the files you want to post. Last edited by moocowmoneybox on Thu Nov 19, 2009 10:27 am, edited 3 times in total. 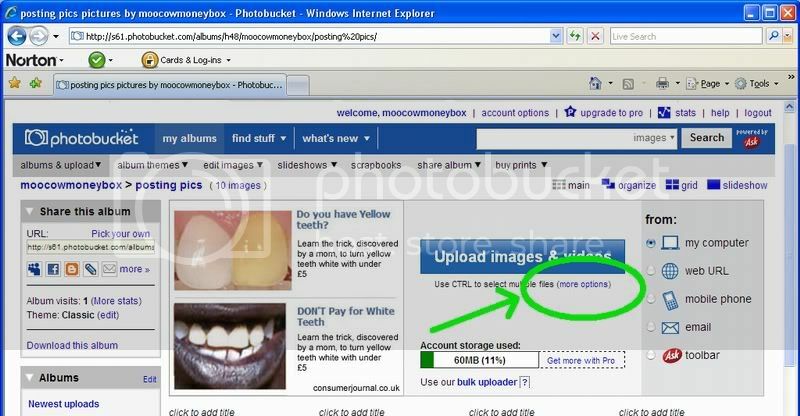 Find the required folder and click the file you want to upload. 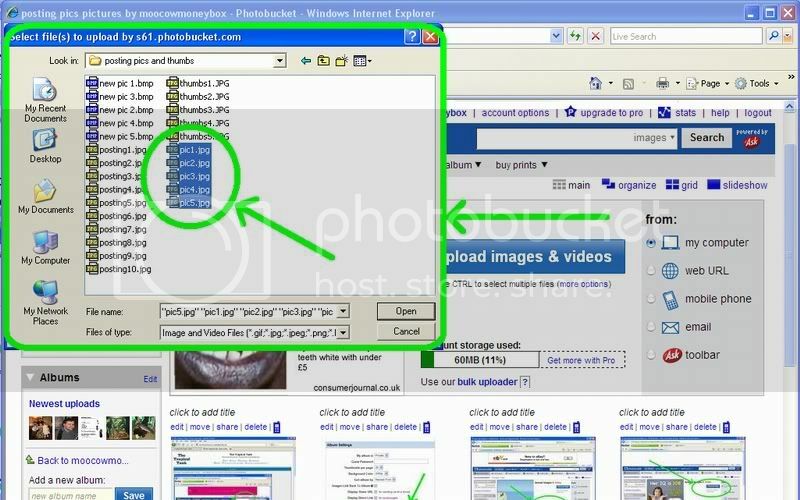 If you want to upload more than one file from that folder then hold down the 'CTRL' key as you click the required files. When you have made your selection click the 'Open' button. You should now see that it has listed the files and they start uploading. As they upload the filename box gradually fills in, they are taken off the list when the box is full. 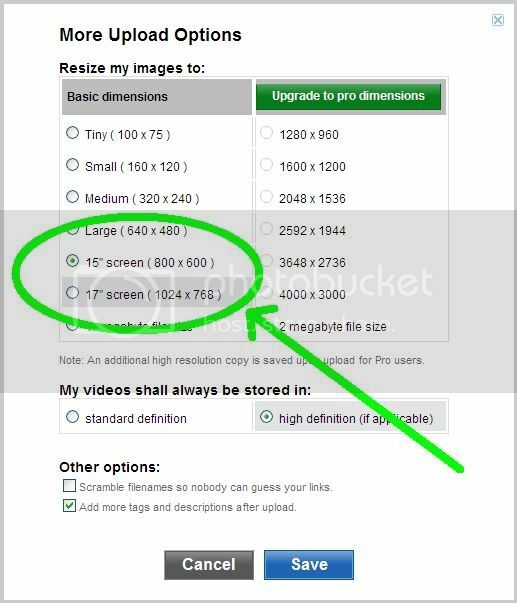 When they are all uploaded the screen refreshes and they should be displayed as thumbnails. If you have the 'tagging' option set then it will go to another screen which will allow you to add titles, descriptions and tags. 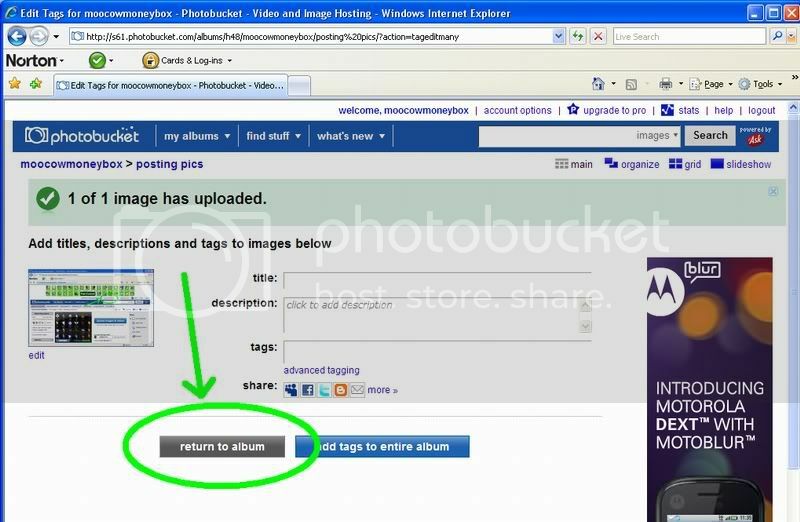 If you get this and dont want to tag anything then click 'Return to album'. 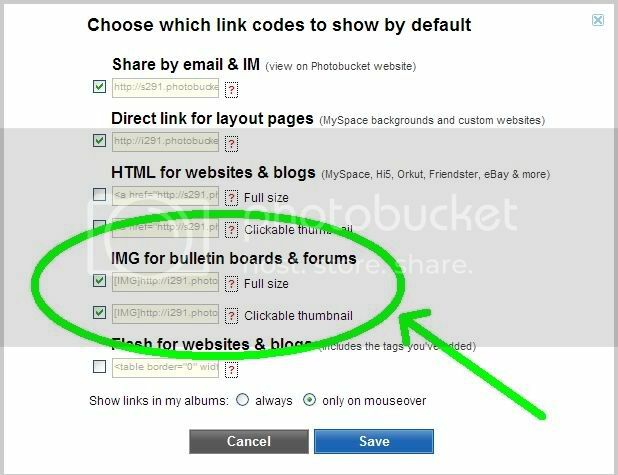 To get the image code for posting into the forum just left click in the box which has 'IMG Code' next to it, then right click and select 'copy'. 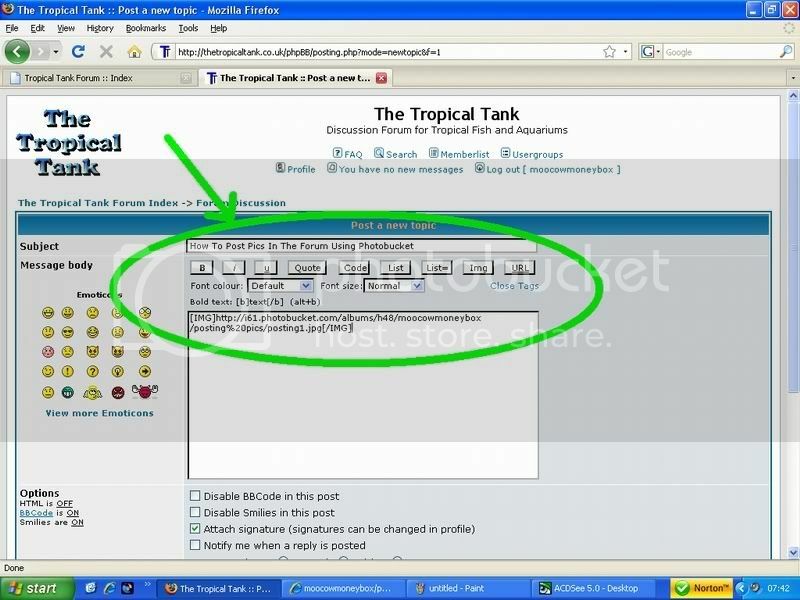 Return to the forum message box where you were typing your message and paste the code where you want the picture to show. Holding down 'CTRL' and pressing 'v' pastes the code where the cursor is.